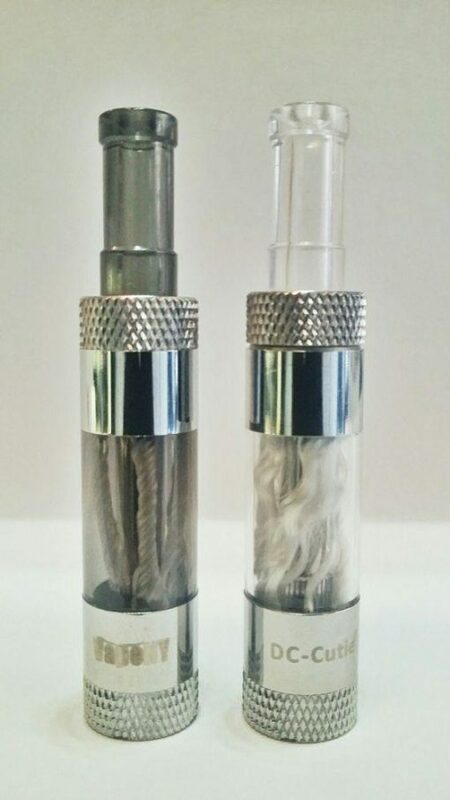 The Dual Coil Cutie is a sturdy, leak proof polycarbonate tank with a stainless finish. It willl give you the same great flavor as the original single coil VNY Cutie Tank , but with more power. It comes preinatalled with a 2.1 ohms head, It is most enjoyable at 3.6v – 4.0v or 7 – 8.0 watts. Feel free to use it on your favorite variable voltage/wattage device. 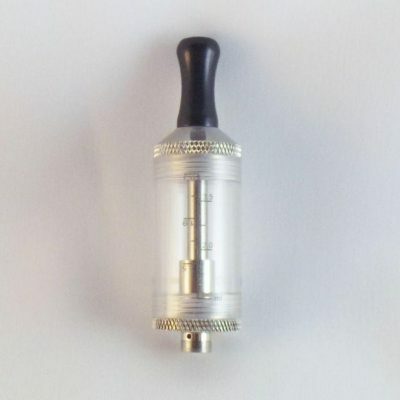 Note: Single coil Cutie replacement heads will NOT work with the DC Cutie Tank. The DC cutie does not have measuring lines. 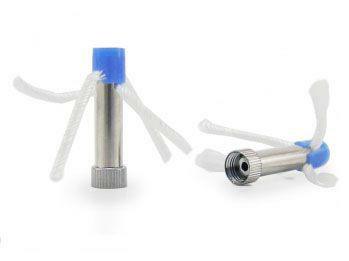 You may fill it up to bottom of where the atomizer head starts. Be sure to let the cutie soak for about 5 minutes after filling to avoid any dry hits. The DC Cutie head will last for about a week with regular everyday vaping. Vaping at higher power and/or with thicker juices may cut the life of the head. We suggest buying more than one for backup. Click here to purchase additional coils. Just wanted to say that the DC cutie with Cherryvape’s Ming = a win. I couldn’t figure out what to do to stop the heavy condensation which then leaked from the tip the DC cutie came with until I changed it with the Ming that has a wider hole. Haven’t gotten a mouthful of liquid since changing the tip. So far, the atty head it came with has lasted me over two weeks. No leakage at the bottom. Very happy with it. Using it on my itaste vv. I am so glad the team at Vape NY put this DC Cutie together for us! 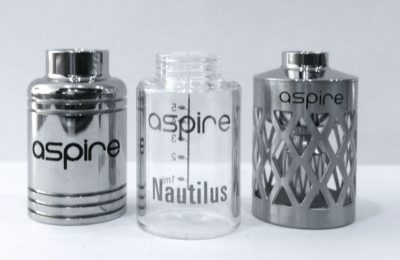 This tank produces vape and flavor that’s as good as the Aspire Nautilus – and there’s nothing better than that! The only improvement I would LOVE to see happen would be to make the tank out of Pyrex glass instead of plastic. 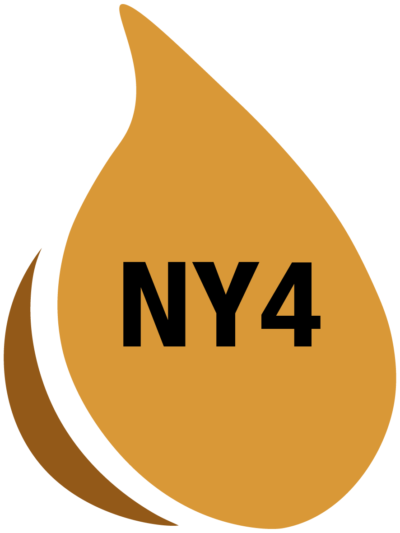 What do you say, Vape NY? Might you go the extra mile with this? You’ve already done something that surpasses any Cutie tank available anywhere else on the planet! Give us a clean glass tank!